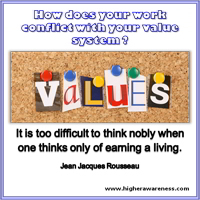 How does your work conflict with your value system? Our values express who we are at our deepest levels. For integrity in our lives, we need to live our values, at home and at work. 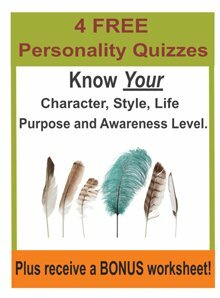 Do you see where life conflicts with your values? As our minds develop, we tend to think more with our conceptual, abstract, ideal, universal and impersonal mind.